How much time do you spend putting on makeup? Perhaps it's something that you haven't given much thought. Maybe, you know exactly how long and have honed down your application to a fine art so you can have a bit longer in bed and be out the door in the morning as soon as possible. Recently the issue has become something of a hot topic, after author Zadie Smith said that she had imposed a strict 15-minute time limit on her daughter looking in mirrors. Speaking at the Edinburgh International Book Festival this month, the award-winning novelist revealed that the fact her daughter was spending so much time looking in mirrors was "was infuriating," so she "decided to spontaneously decide on a principle: that if it takes longer than 15 minutes, don't do it." She then went on to explain why she felt so strongly about it. "From what I can understand from this contouring business, that’s like an hour and a half, and that is too long," said the author, "It was better than giving her a big lecture on female beauty; she understood it as a practical term and she sees me and how I get dressed and how long it takes." Two of us in the Byrdie UK office has differing views on the matter, so we decided to give you both sides of the debate. Want to read them? Keep scrolling for our debate on how long you should really spend putting on your makeup. I can't agree with Smith's sentiment that you shouldn't spend too much time on your makeup. There are many reasons I find it problematic. For starters, if you read between the lines, it implies that women who spend too much time on beauty (and fashion) aren't bright or intelligent. While Smith hasn't said exactly that, I think it's a slippery slope to associate the love of beauty with not caring about other, more important, things going on in the world. Just because you care about the latest Urban Decay drop doesn't mean you're not bothered about marching for women's rights. There are many reasons women wear makeup. I can't speak for all womankind, but personally I wear it to feel more confident. While I'm not troweling it on, what makeup does is cover up a little blemish or two, which stops me from feeling self-conscious. It gives me the freedom to get on with my day without worrying about how I look. But I don't see why if I wanted to spend an hour and a half doing my makeup, contouring and all, it would be a problem. I guess the word I'm looking for here is "choice." Women should be given the choice to wear makeup because they like it and they like the way it looks and makes them feel. And if you hate wearing makeup, don't wear it. Whatever you choose to do with your face—makeup or none—you should be free from the judgment of others. I'm going to make a statement, and I'll probably get trolled for it, but hey, here goes it. I kind of agree with Smith's (bold) claim that spending more than 15 minutes a day doing your makeup is pointless. Hear me out before you judge me. I spend at maximum 10 to 15 minutes a day doing my makeup—sometimes I even do it in a rapid eight minutes. Don't get me wrong: I love makeup. I love it so much I have a whole cupboard full of beauty products (and then some). Yet the fundamental thing here is that there's a social pressure to look good all the time, and as a young woman, it's stressful. Doing my makeup, of course, makes me feel good. It's the ultimate act of self-care along with exercise, putting on a face mask and all other things I love. But spending more time on it only makes me more concerned about the way I look. I've nailed my technique. I know what I'm doing on a day-to-day basis, and to be completely honest with you, spending more time looking at my face in the mirror normally results in me ruining my makeup. I'll go a little too overboard with the liquid eyeliner and end up with it all over my eyelids—which in turns makes me anxious and overly self-conscious about if my face looks good. I don't agree with her claim that women are "fools" for spending time doing their makeup—it's an individual process, so if a woman wants to spend time focusing on, that's her choice. But having a timely routine that takes 15 minutes or less isn't necessarily a bad thing. 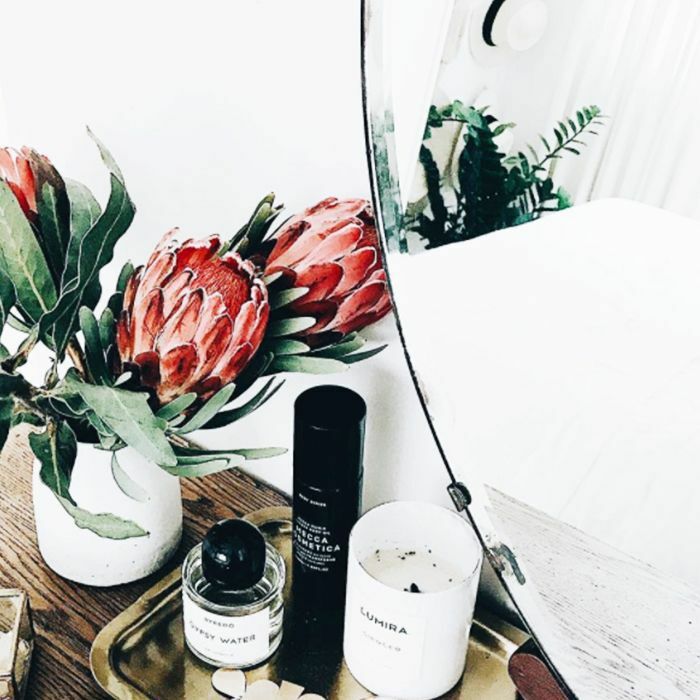 It means we get to spend more time in bed, more time for breakfast and it means—for me—I spend less time worrying about the way I look because I've just spent an entire morning staring at my reflection. My self-care comes in the form of spending a short amount of time each morning making myself look and feel good and then heading out to seize the day. Next up! Five celebrities who have spoken about their mental health.